In every personal injury trial, or every personal injury lawsuit that is filed, a Lafayette personal injury attorney will retain at least one expert to testify. At a bare minimum, your Lafayette personal injury attorney will need to have the testimony of a medical doctor, preferably the treating physician. The Lafayette doctor must give testimony that your injuries were, more likely than not, caused by your particular accident. Without this type of testimony, your personal injury claim could be defeated at the close of the plaintiff’s case-in-chief. A brief summary of the typical Lafayette expert witnesses one might see in a personal injury case is provided to aid in your understanding of why expert witnesses are so important to personal injury lawsuits. In addition to having a doctor testify, your Lafayette Injury Lawyer will undoubtedly have an economist testify. Louisiana juries are sometimes asked to consider "after-tax dollars" in computing your economic loss. A Lafayette Parish Personal Injury Lawyer will often call a certified public accountant (CPA) to testify. That economics expert will rely upon your prior W-2 statements and your prior income tax returns. When an economist testifies, he/she must give the jury testimony to demonstrate past loss of wages, or past loss of earning capacity, as well as future loss of wages and/or future loss of earning capacity. In determining your future loss of earning capacity, they usually select 65 years of age to compute your work-life expectancy. A Lafayette Economics Expert Witness may also testify concerning taxable income or the future value of money awarded now. Further, a comprehensive vocational evaluation is performed to determine your transferable skills, and then the testing, as well as the physician’s analysis, are all summarized and employability analysis is performed. The defense will undoubtedly try to show that you can go back to work and keep gainful employment. They do this to reduce the amount of your future economic wage loss or future loss of earning capacity. If you are the plaintiff in a serious injury case, it is essential that you retain your own vocational rehabilitation expert. In almost every Lafayette personal injury lawsuit, either the defense or the plaintiff’s counsel, and sometimes both, will challenge expert opinions, either in whole or in part. 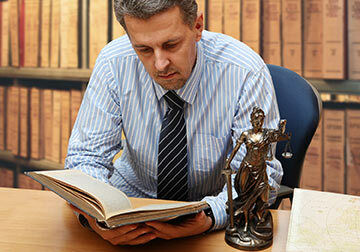 The standards for what types of expert testimony are allowed are found below. In 1993, the United States Supreme Court decided Daubert v. Merrell-Dow Pharmaceuticals, 509 U.S. 579 (1993), which dealt with the standard in the Federal Rules of Evidence for admitting the testimony of scientific experts. In Daubert, and also discussing FRE 702, the Supreme Court was establishing the trial judge as a “gatekeeper” to ensure that any and all scientific testimony is not only relevant, but reliable. Louisiana has generally accepted the Daubert test for Lafayette Expert Witnesses. In the case of State v. Foret, 628 So. 2d 1116 (La. 1993), the Supreme Court of Louisiana found that because the Federal Rules of Evidence for expert witnesses were the same as Louisiana's rules, it made sense to adopt a Supreme Court ruling which explained the rules.